How long have you been using your hearing aids? How long have you been using your hearing aids? Using them to get through the day can vastly improve your hearing loss. But when you have hearing aids as an integral part of your life, you must make sure they last as long as they can. 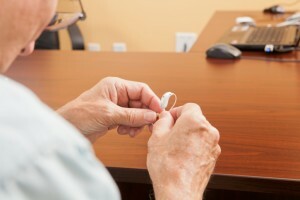 Here are some smart ways to make your hearing aids last longer. You will have to replace your hearing aid battery just as you would change batteries in other electronic devices. However, you should also think about how clean your hands are, and how responsible you are in washing them frequently and properly. Once it’s time to change the battery again, wash your hands first. By washing up, you can clean any grease or dirt on your hands. These substances can harm the battery, so it’s important not to expose it by accident. But once you finish washing your hands, make sure they are completely dry. You don’t want to get any residual water on either your hearing aids or their batteries since water can cause serious problems too. Now that you have fresh batteries, you should inspect the casings for hearing aids themselves. If you’ve experienced any disruptions in the performance of your hearing aids, they might need cleaning. Ear wax, dust, and dirt can clog the speakers on the devices and interfere with sound quality. The more you have to turn up the volume, the more you could be taxing the batteries without even knowing it. Don’t take the tabs off batteries that aren’t being used. Store batteries at room temperature. Don’t put the batteries near any keys or coins. Like with any other device, you should charge your hearing aids when you don’t need to use them. It’s also best if you put your hearing aids back into the container they came with. Then, open up the door to the battery compartment so any excess moisture due to use can dry off. If you’re planning to not use your hearing aids for awhile, you should also take the batteries out and reinsert them when you’re ready to use your hearing aids again. This entry was posted on Friday, October 13th, 2017 at 12:15 pm. Both comments and pings are currently closed.